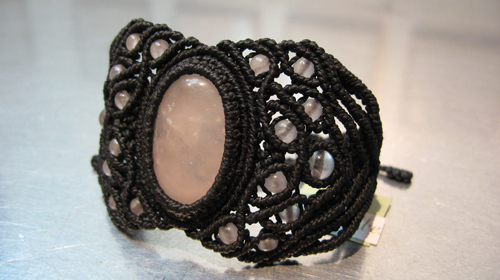 ROSE QUARTZ: a translucent pink variety of quartz. QUARTZ: a hard white or colorless mineral consisting of silicon dioxide, found widely in igneous, metamorphic, and sedimentary rocks. It is often colored by impurities (as in amethyst, citrine, and cairngorm).